Quitting caffeine is a healthy decision in the long run, but one thing you’re not thinking of first thing in the morning while you’re still bleary and tired is the long run. What you want to do is jump-start your day and find some energy, and caffeine is the quick solution. But it’s not the only quick solution – and not even the most effective. 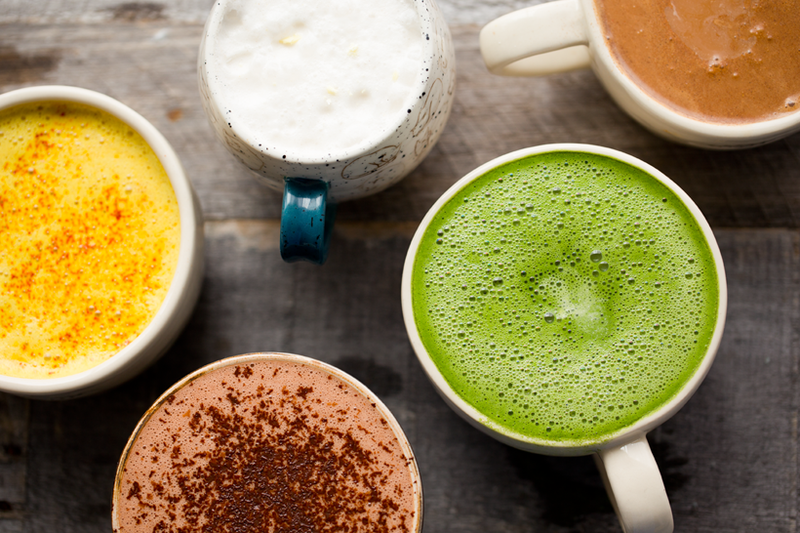 You can get your day going and actually watch out for your health by taking advantage of these eight caffeine-free alternatives: 1. Forget the Coffee; Start Your Day With Juice Tea is a favored option for a lot of people, but even green tea still has some caffeine in it. A softer choice, but still a compromise. Instead, take a page from your younger self’s book and get a glass of orange juice for the morning; or whip yourself up a smoothie packed with apples, strawberries, or bananas. They’re full of rich vitamins that give your body the pick-me-up it needs, and it’s much more filling than coffee, which can eat at your gut and encourage you to eat too early in the morning, messing up your mealtimes for the day. 2. Treat Yourself – Hop on the Internet in the Morning Specifically, pull up some funny animal fails or an adorable loop of puppies doing something cute when you first blink yourself awake. Not only does it give your mind something to concentrate on besides your busy day, which makes you want to go back to sleep, but animal videos in particular are universally entertaining. This soft form of entertainment encourages the release of the hormone oxytocin, associated with lighter moods and greater focus. 3. Don’t Forget to Stretch Working out first thing in the morning gets your blood pumping and releases endorphins that make the body feel stronger, more pleasant, and more awake – but if you the kind who doesn’t feel like going for a run when you’ve only just convinced yourself to get out of bed at all, don’t worry. Simply standing up and doing a few easy stretches will get the blood and the chemicals flowing. Raising your hands up towards the ceiling, keeping your back straight, and then bending down to touch your feet before rising up again is a simple move that will unwind your muscles from their dormant state all night. Repeating this ten or twenty times only takes a few seconds, is great for your posture, and keeps you alert without the caffeine. 4. Grab a Snack if You Can’t Get Breakfast Our grandma was right; having a healthy balanced breakfast in the morning is good for you. But if you prefer your breakfast in a box or don’t have the time to cook some eggs before leaving for work, something smaller will do. Giving your stomach something to work on will get your digestive system in gear, give your body some fuel to work as the hours go by, and most importantly, jump-start your brain into action without caffeine as the main choice. Grabbing an apple, granola bar, or even a donut – though your grandma would frown at that – is a great way to get the burst of energy that keeps you from calling in sick and sleeping in. 5. Go For a Walk Down the Street Taking a few moments to walk down the street gives you all the benefits of stretching and then a little extra. As you get your entire body moving, your breathing level will elevate slightly, your blood will pump faster, and better yet, the great outdoors – even city-bound – will get to work making you more alert. Fresh air, sunlight, and even the activity of cars, passing pedestrians, or a flock of birds gives your mind something to pay attention to, booting up all the signals caffeine would have to force-start. 6. Listen to Something Catchy Time to get down to some Risky Business. Flip on some tunes or turn on your favorite playlist when you get out of bed in the morning, even if you let it whisper through your headphones as you brush your teeth or scroll through your social media. The catchier the tune, the better, since it’ll give your brain something interesting to focus on, encouraging it to fight through that one-track-mind haze of early mornings and instead engage its multi-tasking skills. Better yet, the pleasing sound of music will give you something to look forward to as you get up, and distract you from greater obligations waiting to come, allowing you to actually enjoy your mornings as more than just a routine. 7. Have a Conversation If you’re kicking a coffee habit, then the last thing you want to do first thing in the morning with no caffeine is talk to someone. But speaking actually triggers all the parts of your brain needed to make you more alert; there’s a reason thinking out loud is good for you. Plus, in a two-way conversation, the movement of your mouth, the extra energy your eyes take to read body language, and the extra work your brain has to do to process what the other person says is a gentle but effective way to boot up all your internal systems and get you ready for the day. If you keep the topic positive, it will even improve your outlook, and therefore productivity, for all the coming hours. 8. Drink Cold Water If you don’t like juice or don’t have any on hand, your best option is to find a very, very cold glass of water and get to chugging. The sharp change of temperature will snap your body alert, and the added hydration will give your mind the fuel it needs to become sharper and more focused. In fact, studies have shown that a cold shower is also great for you, but while you may be ultra-awake once the freezing water hits, who wants to do that first thing in the morning?